Do you know someone who would like to learn to read and write Maltese? 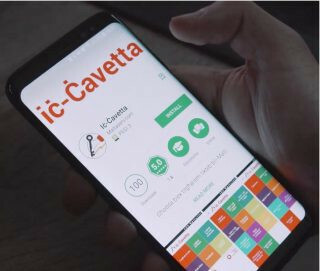 The Iċ-Ċavetta toolkit, now also online and in App form (on Google Play Store and Apple App Store), was developed on the inititative of the Jesuit-run Paulo Freire Institute to address adult illiteracy in Malta. Following its launch in print form, Paulo Freire Institute (PFI) was granted funding by Vodafone Malta Foundation to develop the App version of this toolkit. Thanks are also once again extended to to David Muscat and Carmen Mamo who wrote the original content, and to all those who worked on the electronic versions.